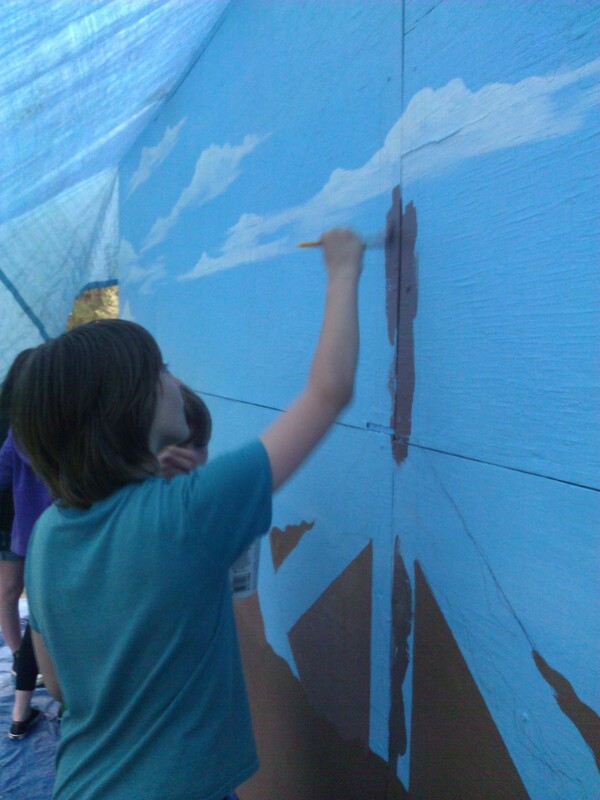 Last week despite the rain, sixth grade students continued to work on the Grow Peace Kickball Wall Mural. 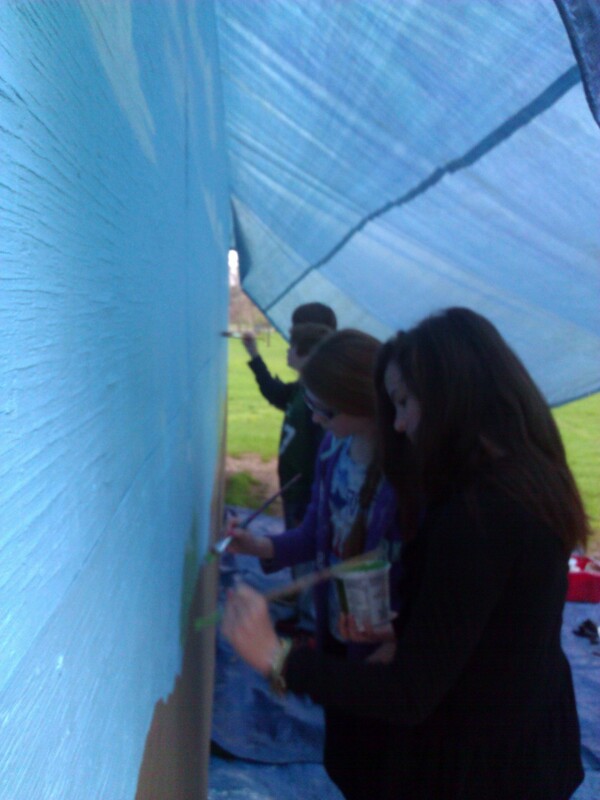 With a canopy set up, they were able to make progress slowly adding in the brown for the earth and adding more coats of blue to the sky. Just as spring flowers are blooming, keep an eye on the Grow Peace Mural and watch it grow in the weeks to come!